macOS Sierra (version 10.12) is the name of Apple’s desktop operating system, and was revealed at its annual Worldwide Developers Conference on June 13, 2016. After using the “OS X” moniker for the twelve previous versions of the OS, Apple, as long expected, adopted the familiar naming convention that’s present for all of its other platforms, such as iOS and watchOS. 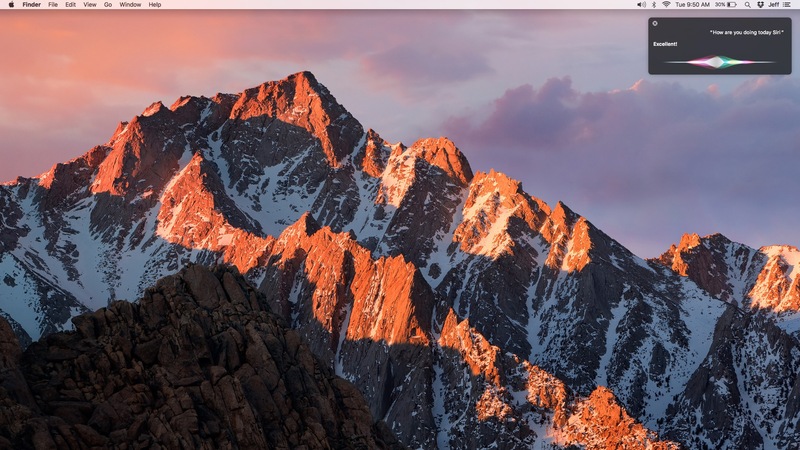 macOS Sierra includes some notable enhancements over the incumbent, OS X El Capitan. Features such as Siri, Apple Pay support for the web, Auto Unlock, Picture in Picture, and Universal Clipboard headline the update. Users can expect additional new features as well, as has been outlined in our post covering many of the new additions to macOS. macOS Sierra is currently available as a developer beta, with a public beta expected soon, and a public release scheduled for this fall. Once released, the update will be available free of charge from the Mac App Store, just like past versions of OS X.
Apple has released the fourth developer beta version of the upcoming macOS 10.12.6 software update. Developers testing the pre-release software can find the update through the Mac App Store. Apple is rolling out the sixth macOS 10.12.4 beta for developer testing. The upcoming version of macOS Sierra is the first to bring Night Shift to the Mac. Apple has released the third public beta version of macOS 10.12.4 which includes Night Shift for Mac. macOS 10.12.4 public beta 3 follows the third developer version of the upcoming software update. Apple is rolling out the third macOS 10.12.4 beta for developer testing. The upcoming version of macOS Sierra is the first to bring Night Shift to the Mac.